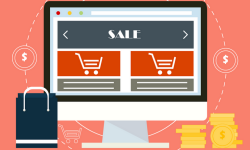 What Matters Most For Online Sellers – Profits or Revenues? 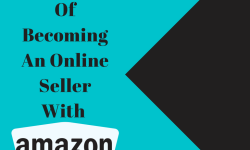 The truth of online selling is – every seller who comes on digital media is there to make profits. After all, why else would he or she pay fees to eBay, Amazon and many other platforms who allow him space to showcase his products? There is no reason or rhyme in going online until a seller is clear about the kind and magnitude of profits he wishes to make. But let us tell you one cruel truth as well – sellers may not start making a profit from the word go immediately after going digital. In the initial phase, they have to stay contended with the revenue part. Let us first explain the difference between Revenue and Profits. Well, revenues are distinct from profits and yet they are quite closely linked when it comes to selling online. Revenue is the sum of all incomes a seller brings in through his sales activities or his main line of business online. Profit, on the other hand, is the term given to the amount of money left over from that revenue after all the seller’s expenses are deducted or paid. Small or medium-sized online sellers have been seen to value revenue a lot because it is just as crucial for their business as air or water would be for a human being. Without the inflow of enough revenue, their business cannot survive. Sales revenues accruing to them online cover a rather wide range of costs. These include costs of doing business, paying off debts and purchasing additional stocks of inventory, etc. Higher revenue over a period of time is usually indicative of a company’s growth and provides a straightforward metric which lets them compete with their competitors. For any online seller, revenue numbers are a sure shot way to impress lenders and investors and portray the business as a profit making a company. 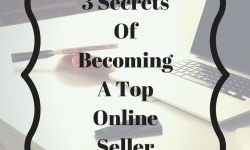 When it comes to profit, it can be just as valuable as revenues to an online seller company. Profit margins vary a lot and usually, companies consider the owner’s compensation as an expense along with other labor costs. This, in turn, makes it possible for an online seller to survive and grow steadily, simply by breaking even every month. However, a healthy profit margin is the ultimate goal for every seller as it enables them to save or invest additional cash in case of diverse market conditions. 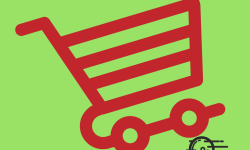 There are periods when sellers face stiff competition from various marketplaces and other sellers that have more aggressive pricing strategies. Thus, previously saved profits let them compete with such conditions without having to lose their market share. Do not underprice your goods. Sell good quality at a good profitable price. Do not offer any FREE Courier or services in case you plan to offer discounts. Spoiling the consumer with many offers means ruining your profitability. Be very clear in your money-receiving terms.